AIADMK workers staged protests outside theatres and vandalised posters of movie ‘Sarkar’ across the state. The makers of Vijay-starrer Sarkar have agreed to remove “objectionable” scenes and “mute” an apparent reference to the late J Jayalalithaa, an industry body said on Thursday, as the movie faced a backlash from the ruling AIADMK over the depiction of its welfare schemes and its leader. 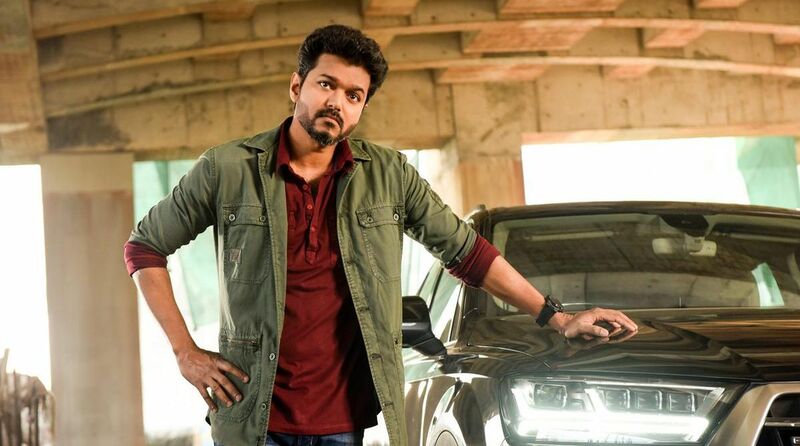 While a theatre owners’ body announced that the edited version would be screened from Friday afternoon, sources in the Sarkar crew said a “compromise” has been reached. “They said they will sit at the editing table tonight and edit the scenes. Following a letter (of approval) from the Censor Board, we will start screening the edited version tomorrow from the matinee show (2.30 PM),” he told PTI. The Tamil Nadu Multiplex Theatre Owners’ Association described the move as a “welcome” one. “The film is having a good run. Some persons are objecting and they have started targeting theatres. Against this backdrop, Sun Pictures has come out with a compromise formula which is a welcome move,” Abirami Ramanathan, president, TN Multiplex Theatres’ Association, said. There was no immediate official word from makers of the film, but sources in the Sarkar unit said a ‘compromise’ has been arrived upon, referring to Subramaniam’s statement. Sarkar, produced by Sun Pictures, stars Vijay and Keerthi Suresh in key roles and was released on November 6. It is directed by AR Murugadoss and has music by Oscar winner AR Rahman. “The scenes relating to the burning of items disbursed under government welfare schemes amount to inciting violence. Whether it is the producer (Sun Pictures) or actor (Vijay), or theatres– they will have to face action,” he told reporters. DMK leader Pazha. Karuppiah, who has played the antagonist’s role in the film, wanted to know how scenes of a movie could be deleted after the Censor Board had cleared it. Referring to the films of a matinee idol and AIADMK founder, former chief minister M.G. Ramachandran, Jayakumar said the late leader’s films never carried such content. He had said the government would advise the makers of the film to remove the scenes and that the future course of action would be decided according to the latter’s move. Following the controversy over the film, its director AR Murugadoss has applied for anticipatory bail at the Madras High Court. The court will hear the matter later on Friday. Meanwhile, sidelined AIADMK leader T. T. V. Dhinakaran lashed out at the Sarkar team, saying there was commercial intent behind the controversies. “You know who the producers are,” he said, in an apparent reference to Sun Pictures, owned by the Maran brothers of the DMK’s extended first family. Recalling BJP’s opposition to Vijay’s 2017 movie Mersal, he said the party had made the film a grand success and that the AIADMK was now going to do the same for Sarkar. Meanwhile, Tamil superstar Rajinikanth on Friday lashed out at the ruling AIADMK in Tamil Nadu for its protests against certain scenes in actor Vijay’s Diwali release ‘Sarkar’, questioning the rationale behind protesting against a film certified by the Censor Board. He “strongly condemned” the demands for deletion of scenes. “I strongly condemn these,” he added.